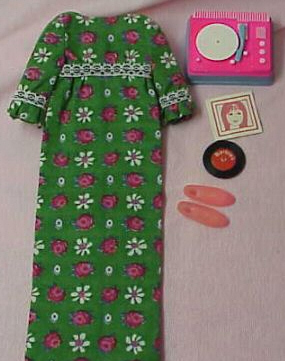 The dress is fairly easy to find and is usually in good shape when found, the fabric is sturdy and hold up very well. This ensemble has been found with three different types of pink shoes. 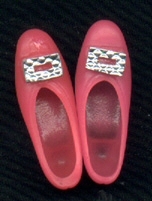 The pink shoes with silver buckles are very rare and hard to find.